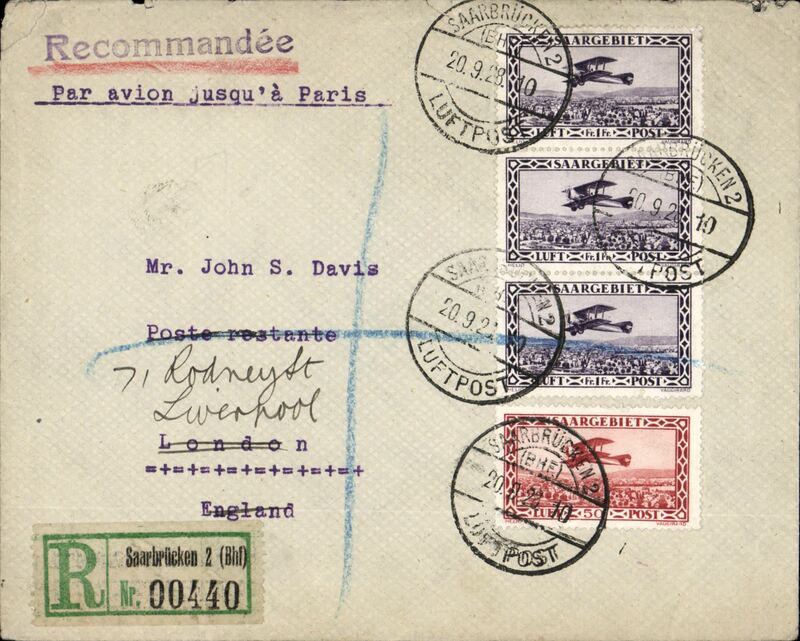 First acceptance of mail to England for carriage on the Farman Airline's first flight from Saar to Paris, registered (label) cover franked 1928 air 50c and 1F (x3), canc Saarbruken/20.9.28/Luftpost cds, typed "Par avion jusqu'a Paris", red London hooded 'Registered/Paid/21SP28r Registration arrival ds verso. 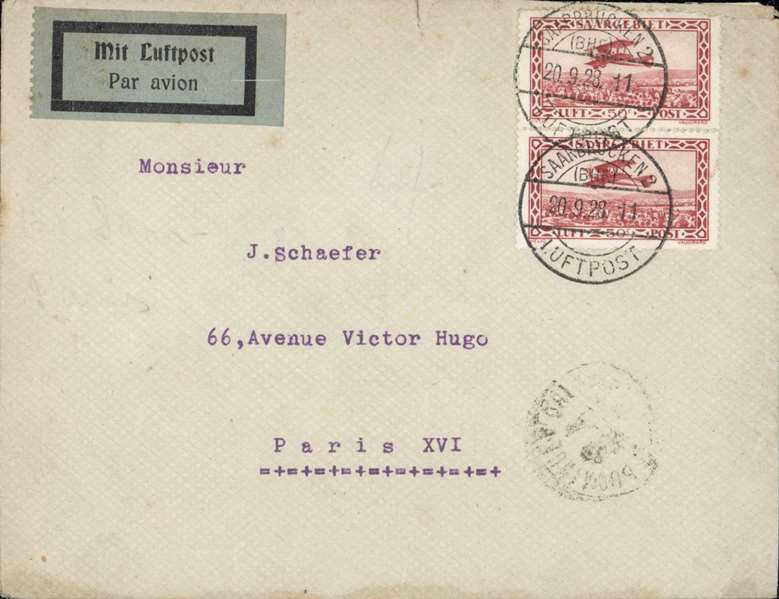 Farman Airlines, F/F Saarbrucken to Paris, b/s, airmail etiquette cover franked 1928 50c air x2. 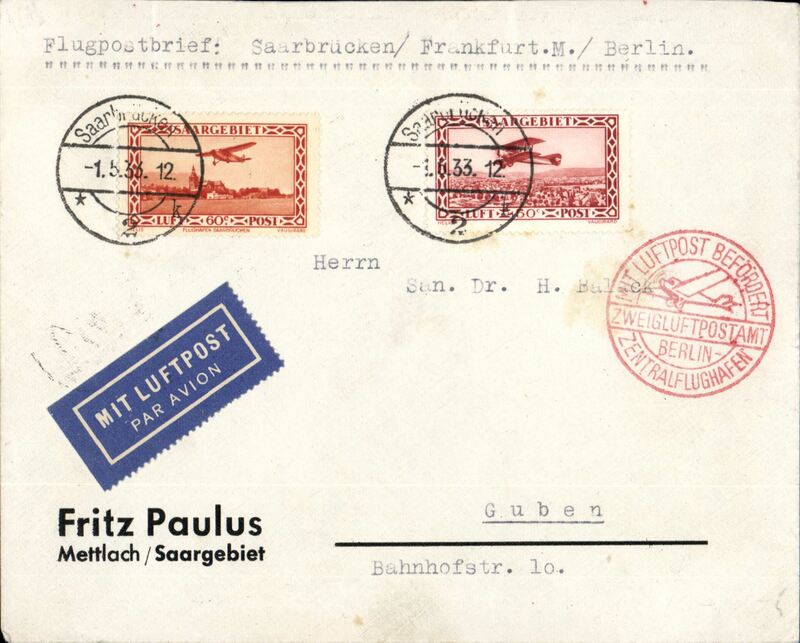 Saarbrucken to Berlin, bs 1/5, airmail etiquette cover franked 1928 50c and 1932 60c airs, canc 1/5 cds, fine strike red Berlin receiver. Image. 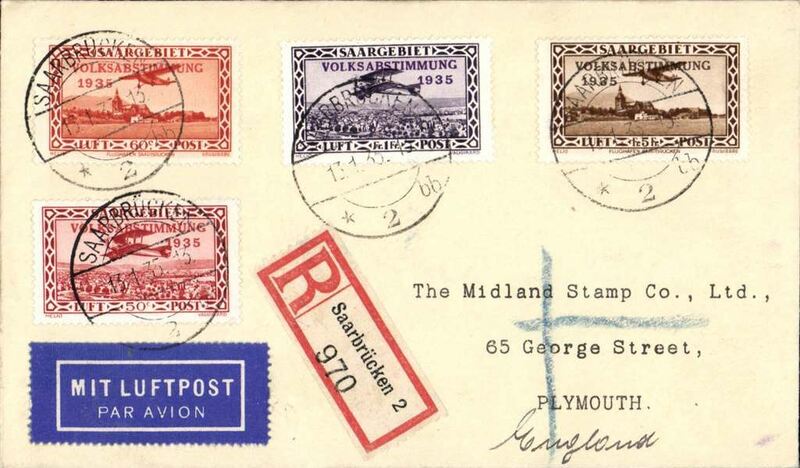 Saarbrucken to England, registered (label) airmail etiquette cover franked 1934 Saar Plebiscite set of 4 airs. 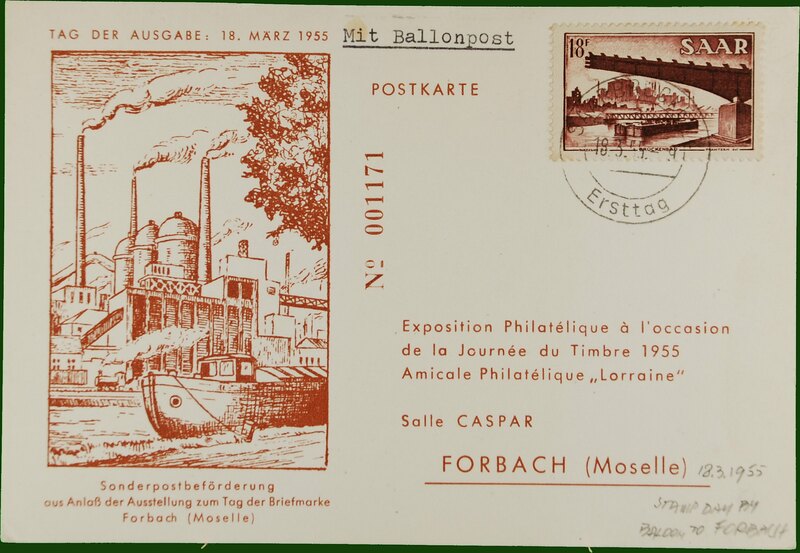 Ballon flight, Erstagg to Forbache, special depart cachet, souvenir card.